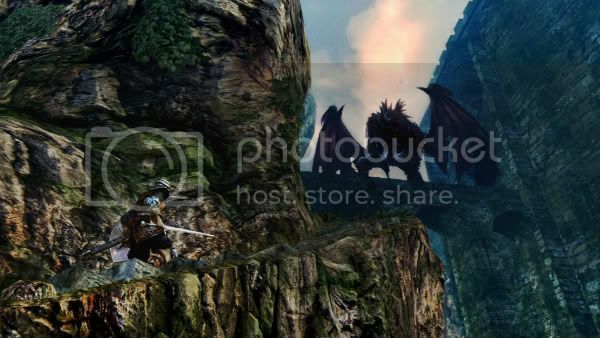 This article may contain spoilers for Dark Souls. Dark Souls is the best Nintendo game I’ve played since, well, Demon’s Souls. Wait, what? Are you scratching your head? Yes, Nintendo had absolutely nothing to do with the production of either of those titles; that honor goes solely to developer From Software. But hear me out. 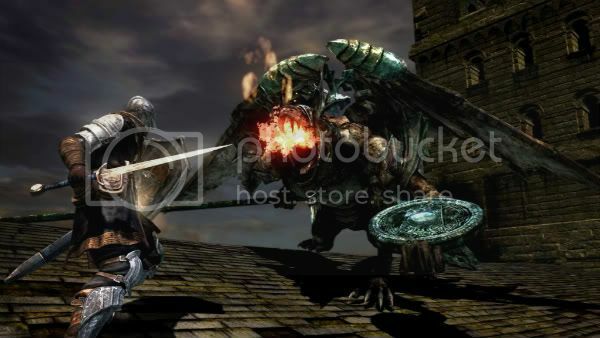 Influence from two of Nintendo’s premiere series, which play second fiddle only to Mario, is apparent throughout the newly released Dark Souls. From Software may understand what makes Zelda and Metroid such revered classics more than Nintendo does itself. We love these titles because they let us investigate alien worlds and discover hidden treasure with only our wits to aid us. The seductive embrace of open exploration drives our hearts to push further, dig deeper, and look closer. 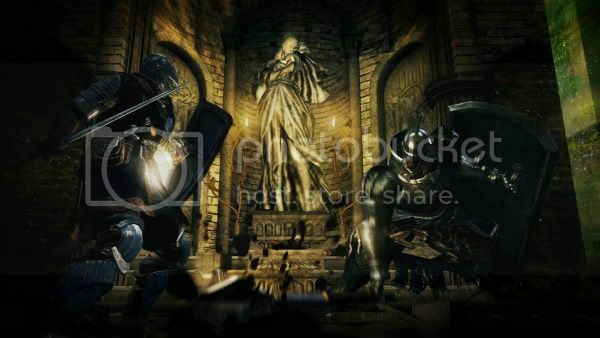 From Software reminds us how a game can titillate our imagination in ways that other mediums cannot. The Legend of Zelda begins without any obvious hints about where to go or what to do — just an ominous warning that "it's dangerous to go alone." Similarly, Metroid offers no exposition of any sort; upon descending an elevator, you have no choice but to begin combing Zebes for answers. Dark Souls likewise plunks you down into an unfamiliar land with little direction. In this respect, they all emphasize exploration as central to the experience. Dark Souls' Lordran demands probing and prodding for environmental information and clues. After a brief tutorial section, you'll have the option to investigate one of many paths. The hazards that lurk within each comprise a subtle guide. In the Catacombs, you'd be wise to turn around after seeing that your attacks hardly affect the reanimated skeletons that prowl a plot of tombstones; without the right tools, their broken bones continually reform upon each death. In the New Londo Ruins, you'd be equally shrewd to backtrack after realizing that you cannot physically harm the ghosts therein. These barriers to progress are similar to needing the Power Glove to lift a large rock blocking a path in A Link to the Past or Super Metroid’s use of colored doors requiring specific weapons to open. The only difference in Dark Souls is that you always have the option to push beyond your capabilities and foolishly brave death. Heading in yet another direction uncovers the Undead Burg, and here awaits tantalizing treasure just out of reach. Below the castle walkways overgrown with foliage, the visible twinkle of an unknown item will likely tempt you to investigate your surroundings simply because you must have that thing. Further through, down a short set of steps, and between two claustrophobically close stone walls, a black knight — an extremely powerful early enemy — stands between you and the previously spotted loot. With his back to you, he practically teases you to sneak up on him for a surprise attack even if such action may not be so wise just yet. These encounters feel somewhat like Metroid’s tendency to put missile upgrades just out of reach — unless you can find the proper equipment, such as the High Jump Boots or Morph Ball Bombs. But they more appropriately evoke memories of Zelda’s affinity toward placing strong enemies along one-way paths, such as The Adventure of Link's and Ocarina of Time's Iron Knuckles or the Lynals that guard the mountains in the original game. These fights will be easier later on after you have not only acquired better equipment but obtained greater combat proficiency; however, you still have the choice about whether to engage. So while Dark Souls may have a path of least resistance (for lack of a better descriptor), the game never forces you into any one direction. Just like with Zelda and Metroid, "sequence breaking" is a viable option. Remember those hard-to-kill skeletons? Well, against better reason, my stubborn self pushed through the graveyard anyway. And I found a shield with high magic resistance, which was later useful against the Moonlight Butterfly. I also found a Zweihander, a powerful greatsword that I could use after pumping a few points to my strength stat. An optimal run may not have encouraged me to plunder this area for loot so soon, but Dark Souls gave me the option anyway. Even more overtly, you can take the Master Key as a starting gift for your character, which lets you immediately unlock any closed door in the game without going through the "proper" steps. 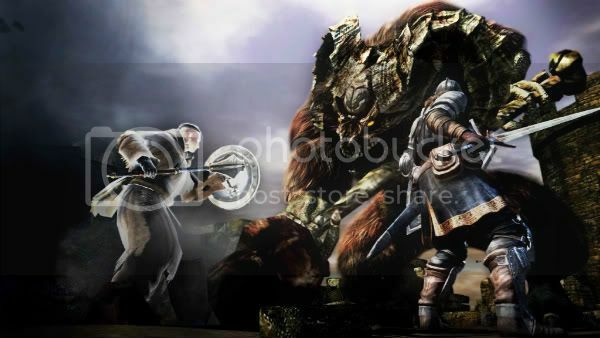 And that means you could stumble onto Havel the Rock early and earn his ring, which increases the equip-load limit (and that’s a big deal for melee fighters). Likewise, you don’t necessarily have to play Metroid in any particular order. You could choose to first confront Ridley instead of Kraid, or you might find the Ice Beam before discovering the location of the Long Beam. In the first Zelda, you could similarly crawl the nine dungeons in any sequence you wanted, an option that later entries have largely abandoned. Continuing in this spirit of exploration, Dark Souls borrows again from its forbearers. Throughout the world, secret passageways hide behind innocuous walls. You may never find them at all unless an altruistic soul using From Software’s innovative multiplayer features drops a message indicating their placement. These clandestine locations conceal treasure and challenge alike. Similarly, this kind of inconspicuous mystery envelops Zelda and Metroid. In the latter, breakable blocks that look no different than the others obscure such secret paths. You need to investigate every square inch of the map to uncover them all, and the allure of such hidden delights, whether they are additional Energy Tanks or the awesome Screw Attack, can be intoxicating. Zelda is sometimes more obvious with its covert rooms and loot, which the developers have indicated with cracked walls begging for a bomb to knock them down. In A Link to the Past, the complex level design asks you to solve environmental puzzles to locate these hidden treasures. You might need to navigate an intricate array of teleport pads, fall through dizzying layers of platforms, or warp between the light and dark versions of Hyrule. All of Dark Souls' exploration and discovery comes wrapped a brilliantly designed game world. You'll begin in the Firelink Shrine, and as you push through new areas, you'll suddenly find yourself back on familiar ground. Beyond the Undead Burg and the Undead Parish, a chain-operated elevator brings you back to Firelink. 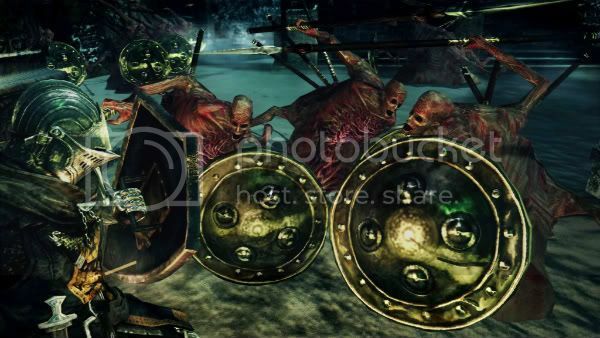 Another such lift connects New Londo Ruins with the Valley of Drakes and Blighttown. Beneath the Undead Burg, you’ll enter the Depths that also lead to Blighttown. Don't think you can make that harrowing run past the fire-breathing dragon on the bridge to the Undead Parish a second time? You'll be able to drop a ladder that bypasses the encounter entirely. While Demon’s Souls' Nexus hub and archstones picked up after Zelda's use of musical-based teleportation, Dark Souls' level design feels a lot like more the Metroid Prime series where you can open up new paths that create shortcuts after completing a section. But From Software's layout is much more vertical, intricate, and interconnected, which ultimately makes every locale hugely accessible from a variety of starting points. And the long rides down the chain-operated elevators evoke the same sensation as Samus' slow descent into such places as the fiery depths of Norfair in Metroid. In almost every way, Dark Souls further builds on the evolution that Demon's Souls began two years ago: an advancement of the open exploration and sense of discovery that Zelda and Metroid pioneered in the mid-to-late '80s. But something changed in the years since for Nintendo. Zelda began to de-emphasize exploration with A Link to the Past by encouraging players to approach and complete dungeons in a particular order. That trend solidified with the move to 3D with Ocarina of Time and beyond, where much of the discovered sequence breaking isn't a consequence of intentional alternatives but exploiting known glitches. Even worse, the latest entry, Twilight Princess, is heavy on exposition. "Exploring" the beginning town mostly consists of simple fetch quests and puzzles that various characters ask of you. A few hours later, the game turns you into a wolf yet still hasn't let you loose to search an expansive world of mystery and adventure worthy of the Zelda name. Not to mention that Zelda creator Shigeru Miyamoto now seems more intent on highlighting the upcoming Skyward Sword's refined motion-control schemes and remote-operated flying beetles than anything else. Team Ninja’s Metroid: Other M removes all the excitement of finding new toys to add to Samus' arsenal with the contrived narrative device of giving you everything in the beginning, taking it all away, and then slowly unlocking useful power-ups as the story requires them. Just like Twilight Princess, Other M basks in unprecedented exposition. And the open exploration that defined these titles through the Prime series is gone in favor of a largely linear level structure that mocks you with a vestigial minimap. Whatever the case behind Nintendo's new direction for Zelda or Metroid, I'm just glad the company made a lasting impression on From Software. Dark Souls captures the appeal of both games so well and exceeds in executing their strengths to the point that I’m not sure Nintendo could do anything to top From's accomplishment.